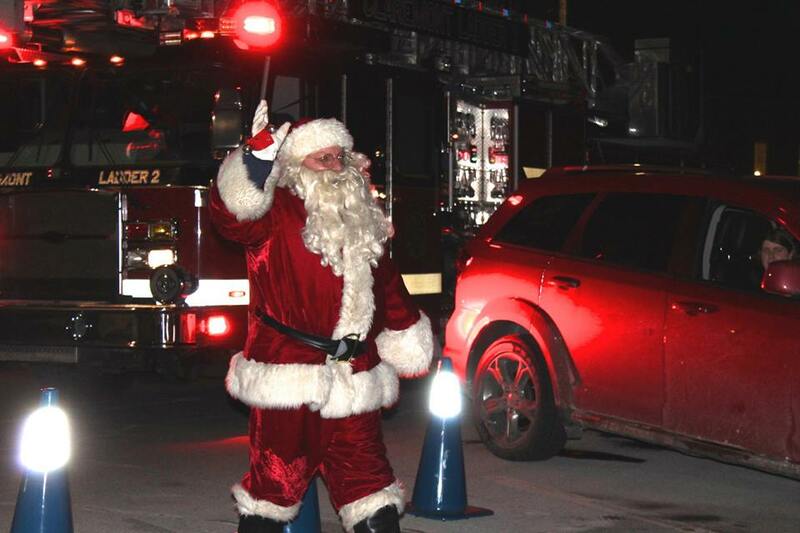 Despite a very busy schedule, Santa was able to visit Claremont this evening, arriving at Broad St. Park via the Claremont Fire Dept. He led the countdown to the lighting of the park and met with children in the gazebo. Several hundred people lined up for the special visit (Phyllis A. Muzeroll photo).